Once our engine mounts arrive, we can get back to enjoying our Subaru. 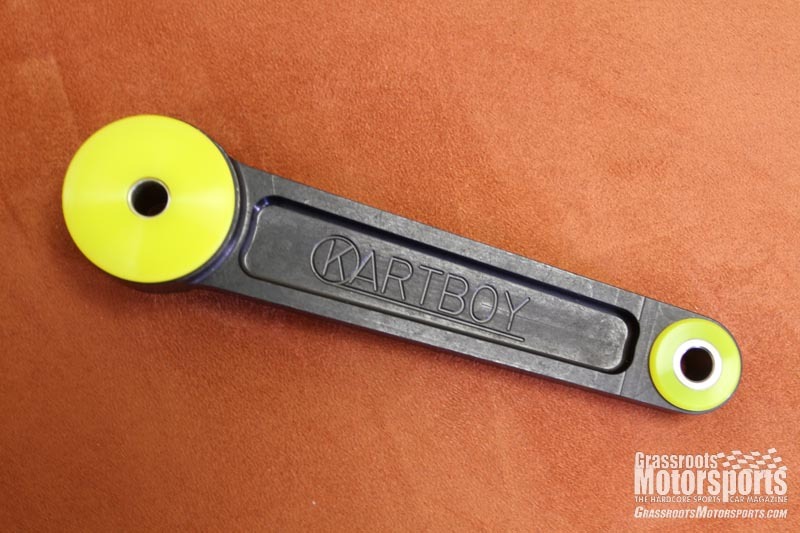 A Kartboy Engine Pit Mount should also help keep our engine properly mounted. For those of you who questioned our spark plugs and plug wires, give yourself a pat on the back. Last time we last checked in, our Impreza wasn’t feeling so well. While it got us home from Georgia, it did so while wheezing and coughing. The check-engine light glowed ominously. Something was obviously wrong. For those of you who questioned our spark plugs and plug wires, give yourself a pat on the back. Both were due for replacement, and fortunately our coil pack seems okay. Our engine mounts are toast, though, and we’re waiting on new ones to arrive. 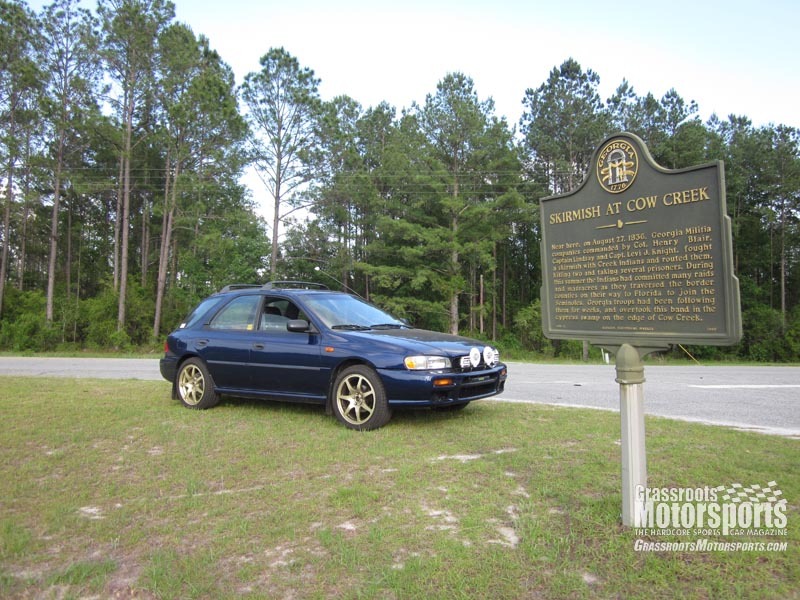 While aftermarket mounts are available for this car, we’d rather stick with the genuine Subaru pieces—it’s only about $30 more per mount for the genuine articles, and we’ve heard that the aftermarket ones can sag. While waiting for the mounts, the car did receive a Kartboy Engine Pitch Mount. This replaces the stock dog bone and should keep the engine from rocking too much. Hopefully the mounts will be here shortly so the car can return to service. If you're problem returns it's probably the IAC. Subaru's are famous for having gunk build up in them which causes problems like yours. It won't do it all the time but it will do so more frequently once it's started. Usually, after it throws a code, you can turn it off for a few minutes and restart it with no problems. I spent way too much having a mechanic check things out and replace parts(firts was plug wires and plugs) so I finally resorted to the Subaru forums. Remove the IAC, clean out the gunk with carburetor cleaner and you're good to go! Good luck and keep the Subaru articles coming! Oops! Please ignore the typos, it's 3am! Thank you so much, Drucifer! We'll have to check that out. Much appreciated.